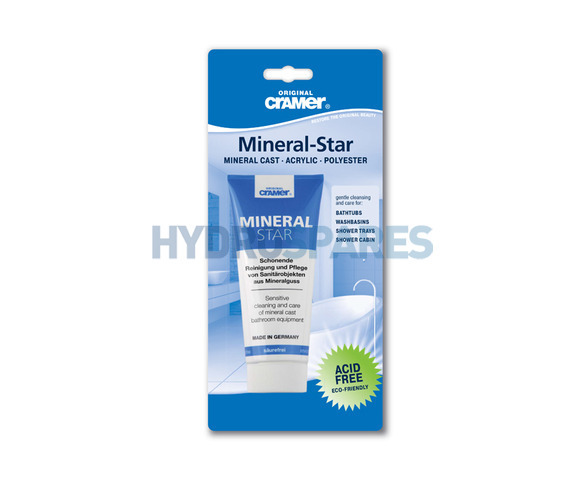 The selected cleaning and care components in the Mineral-Star remove limescale, heavy stains and other deposits without leaving any scratches. The concentrated cleaning paste is ideal for the weekly basic cleaning of all glossy mineral cast surfaces. Due to its slight polishing characteristics the Mineral-Star should not be used on easy to clean coatings. This cleaner is not harsh on your skin, acid free and environmentally friendly. Apply a hazelnut size amount of Mineral-Star on a moist sponge and rub in on the wet surface - Rinse off with warm water and rub dry.